THIS MONTH AT THE BOOM! 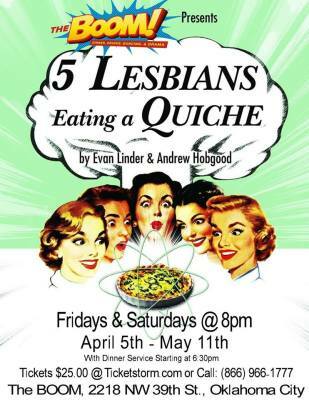 NEXT MONTH AT THE BOOM! DRAG BINGO at The Boom! 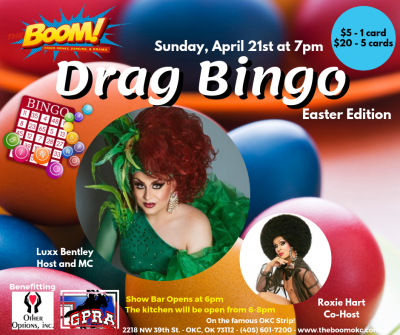 Mark your calendars for Easter Sunday, April 21st as it's going to be our Easter edition of Drag Bingo! Make sure you bring your favorite Easter bonnet too, as we're having an Easter bonnet contest! Come play with Luxx and Roxie-the fun starts at 7pm on Sunday April 21st! Be sure to check out our Facebook Event Page (link below) for all of the latest, up-to-date information. Doors open at 6pm-be sure to arrive early as these events always fill up fast! 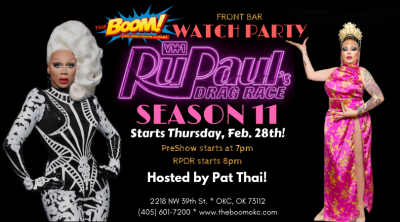 Join us every Thursday for our RuPaul's Drag Race Season 11 Watch Party in the front bar starting at 7pm hosted by the one and only Pat Thai! It’s not just a watch party but also a drag show, plus we'll have weekly games and contests, and some other surprises! Plus, you can enjoy your favorite adult beverage and/or order something from our menu while you watch to see who will become America's next Drag Superstar! Admission is free! 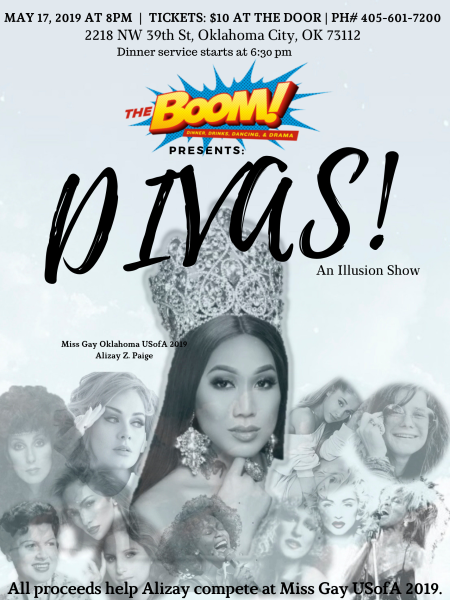 Coming to The Boom May 17, 2019 it's going to be a fabulous night of illusions supporting our very own Miss Gay Oklahoma USofA 2019 Alizay Z. Paige as she heads to nationals! Doors open and dinner service starts at 6:30pm, and the show begins at 8:00pm. Silent auction items will also be available to bid on. Make plans now to attend, as it's going to be a fabulous night of entertainment!